#ArmSelfDefense : Mitchell investigated lynchings, advised blacks to arm themselves in self-defense, and editorialized against the Spanish-American war, saying it would make Cubans and Filipinos subject to the racism that dominated the South. As editor of the Richmond Planet, he frequently published articles in favor of racial equality. In 1904, he organized a black boycott of the city’s segregated trolley system. In 1863, John Mitchell, Sr. and his wife Rebecca were living on the Lyons family estate in Henrico County, Virginia, near Richmond. The Mitchells were slaves; John was a coachman and Rebecca was a seamstress. 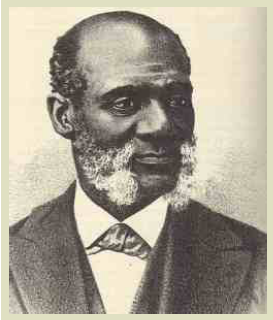 On July 11, 1863, they had John Mitchell, Jr. Who was born a slave in Richmond, Virginia in 1863, shortly before the end of the American Civil War and of slavery. He grew up to become a civic leader and civil rights activist in Richmond’s Jackson Ward community. The neighborhood had long had free African Americans, and it became a center of the freedmen’s community after the war; it became known as the “Black Wall Street of America.” The black population in the city increased as freedmen migrated there for work and to enjoy a strong black community. In 1902 Mitchell opened the Mechanics’ Savings Bank in Richmond. Its deposits hit an all-time high of over half a million dollars in 1919. Three years after that, the bank failed. and as a child, he helped support his parents by selling newspapers. He graduated first in his class from Richmond Normal High School. 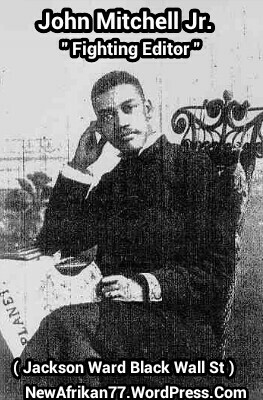 He became the editor of The Richmond Planet, (later the Richmond Afro-American). Mitchell was a brilliant man of many talents. In 1890, he was elected to the Richmond City Council,but around the turn of the century, he became cynical of politics. He was aproponent of building Black businesses, pushing for economic and industrial development and urging Blacks to save money and buy property. He founded the Mechanics Savings Bank in 1901and would later become Grand Chancellor of the Fraternal Order of the Knights of Pythias. As a advocate of self defense soldier of social change, Mitchell led a boycott that eventually bankrupted a segregated streetcar company. Mitchell served as a delegate to two Republican conventions and ran for governor on an all-Black ticket. John Mitchell died on December. 3, 1929.
the El Rukn’s are now an “Orthodox Muslim” group, all that needs to be said on their history is that they were originally part of the P-Stone Nation and the Black Stone Rangers street gangs (founded in 1965 by Jeff Fort with Eugene Ibrahim Hairston). They are organized with Ambassadors, Generals, Imams, and Divine Ministers. 777 ALLAH Salvation UnityToday we gather to understand the total significance and meaning of the Symbolic and illustrious Blackstone. The BlackStone which sits as a Corner-Stone (El-Rukn) in the Holy Kaaba, in the Holy City of Mecca, is merely an emblem to make the world conscious that the Stone, once thought rejected, has now become the Head Stone of the Corner. Infamous criminal Jeffrey Fort was born on February 20, 1947, in Aberdeen, Mississippi. Fort and his family moved to the low-income Woodlawn neighborhood in the South Side of Chicago in 1955 in order to find work. But Fort’s family life disintegrated, and the grade-school dropout found himself in and out of juvenile detention centers, including the Illinois State Training School for Boys in St. Charles, Illinois. It was there that he met an older boy, Eugene Hairston, who soon became his friend and mentor. To protect themselves on the streets, Hairston and Fort founded a group in the late 1950s called the Blackstone Rangers, named after the Blackstone Avenue area where they spent their time. Hairston earned the nickname “Bull” early on, and Fort became known as “Angel”, a term of endearment given to him by his mother. The group quickly turned into a gang, as area youth afraid for their safety took membership with the Rangers. As the gang grew, so did their territory. They claimed the area east of Woodlawn Avenue as their stomping grounds, and anyone who violated this dividing line put their lives in jeopardy. The Blackstone Rangers began absorbing other crews in the area, eventually uniting under the new name, the Black P. Stone Nation. The Stones organized themselves into a hierarchy, establishing a leadership council they called The Main 21. Jeff “Angel” Fort served as the gang’s leader, with “Bull” Hairston as second-in-command. In 1966, under Bull and Angel’s leadership, the Nation grew from 500 to 1,500 members. By 1967, that number had doubled to approximately 3,000 members. When Hairston went to prison in 1968 on drug charges, Fort was left to run the Nation unchallenged. With the help of local minister Reverend John Fry, Fort learned how to garner financial support from public agencies and philanthropists. Charities such as the Ford Foundation and the Kettering Foundation donated money to the P. Stone Nation, who had by then formed a faux political charter under the name The Woodlawn Organization. The Woodlawn Organization, or T.W.O., announced plans to create jobs for reformed gang members who were struggling to make ends meet. Under President Lyndon Johnson, Fort also managed to obtain a $1 million federal grant from the Office of Economic Opportunity by claiming that he would use the money to teach job skills to gang members. Fort instead used the money to “pay” his gang members a salary that would, in turn, be given directly back to Fort. Suspecting the misappropriation of funds, politicians hauled Fort into a U.S. Congressional Committee hearing in Washington, D.C., in order to determine how the money had been used. Only $200,000 had been given out as salaries, leaving $800,000 of the funds unaccounted for. Fort refused to testify, and was indicted for contempt of Congress. The federal grant money was revoked. In 1972, Fort was convicted for his misuse of federal funds, and was sent to Leavenworth Penitentiary to serve five years for his crimes. During his time at Leavenworth, Fort bulked up, converted to Islam and assumed the name Imam Chief Prince Malik. After his release from prison in 1976, Fort created a new organization, named El Rukn, the loosely translated Arabic word for Black Stone. The Rukns, as they called themselves, bought a former movie theater in Chicago that served as a mosque, a party house, and private business headquarters. They called it The Fort. But police believed Fort was actually using his newly formed group to peddle drugs —specifically cocaine and heroin. Using the money they accrued from their illegal holdings, Fort and the Rukns bought property around the area to lease to family, friends, prostitutes and drug dealers. At the height of their reign, the Rukns housed more than 300 families. In 1983, police used information from an informant to track the Rukn’s illegal dealings down to Mississippi. Two of Fort’s lieutenants were arrested for trafficking, and a wiretap revealed Jeff Fort discussing his drug deals. In November of 1983, Fort was convicted of drug trafficking charges and sentenced to 13 years in prison. He was sent to Terre Haute, Indiana, to serve his sentence and was then transferred to the Federal Correctional Institution at Bastrop, Texas. In Bastrop, Fort was able to lead El Rukn through coded telephone calls from prison. Police monitored the calls, and discovered that Fort was working with Muammar Abu Minyar al-Gaddafi and the Libyan government on an arms deal. The gang agreed to trade rockets and a promise to commit terrorist acts in the U.S. in exchange for a $2.5 million loan. In a 1987 sting by police, Fort and his men were caught trying to make the deal. From prison, Fort was tried and convicted for conspiring with Libya to perform acts of terrorism. He was sentenced to 80 years in prison in Marion, Illinois. In 1988, Fort was also convicted of ordering the 1981 murder of a rival gang leader. He was sentenced to an additional 75 years in prison. He was transferred to a penitentiary in Florence, Colorado in 2006. He continues to serve his sentence. In theory they were right; but their practices were inconsistent and wrong. They were learned in the law of Moses and in the traditions of their fathers, but the principles of righteousness failed to affect their hearts. They knew their duty but did it not. The demands which they made upon others proved that they themselves knew what things men ought to do. In condemning others they pronounced themselves guilty. They demanded that others should be just, merciful, pure, peaceable and righteous. But they were unjust, impure, unmerciful —they hated and wronged a portion of their fellowmen, and waged a continual war against the government of God. Hear ye not how, from all high points of Time,—From peak to peak adown the mighty chain That links the ages—echoing sublime A Voice Almighty—leaps one grand refrain. Wakening the generations with a shout, And trumpet—call of thunder—Come ye out! The Lord hath bowed his heaven, and come down! Now, in this latter century of time, Once more his tent is pitched on Sinai’s crown! Once more in clouds must Faith to meet him climb! Once more his thunder crashes on our doubt And fear and sin —”My people! come ye out! petition seeking the transfer of Mr. Larry Hoover Sr. from the ADX Florence Supermax Prison in Florence, Colorado. To: Charles E. Samuels, Jr.
As American citizens who care about the treatment of prisoners throughout the United States, both state and federal, we call for the transfer of Larry Hoover, federal prison number 86063-024, to a less secure facility. He does not fit the criteria for continued placement in the Federal ADX supermax prison, located in Florence, Colorado. Mr. Hoover has no chronic or severe behavior problems, he has no special management concerns, he has not demonstrated or repeated incidents of assaultive or predator behavior. Mr. Hoover can be transferred under Code 308, lesser security. Mr. Hoover’s disciplinary record is impeccable, his program participation and completion is outstanding. Mr. Hoover has no continued involvement as the founder and leader of the Gangster Disciples, and has continuously demonstrated that he can function in a less secure unit without posing a risk to institution security and good order. We urge that you consider Mr. Hoover for transfer based on what he is doing now, not on his past. 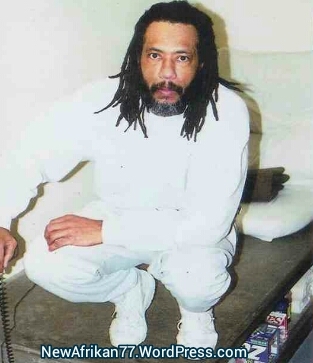 It is important for you to join this campaign seeking transfer for Larry Hoover to a less secure facility because to do otherwise would be to continuously violate the policy of the program and undermine the fairness upon which the program was premised. Mr. Hoover has fulfilled all the requirements educationally and programatically for step-down from the ADX Supermax Prison. In spite of this, he is continuously denied transfer without sound or sufficient penal reason, in accordance with the rules for the step down program. IN THE YEAR 2010 THERE WAS 7,406 ELECTRONIC SIGNATURES ON THIS IDENTICAL PETITION IN SUPPORT OF MR. HOOVER’S TRANSFER. WE ALSO ASK THAT YOU CALL AND WRITE MR. CHARLES E. SAMUELS, JR. THE CURRENT (2014) DIRECTOR OF THE FEDERAL BUREAU OF PRISONS AND VOICE YOUR SUPPORT OF MR. HOOVER’S ELIGIBLE TRANSFER OUT OF ADX SUPERMAX PRISON IN FLORENCE, COLORADO. DIRECTOR SAMUELS, JR. CAN BE CONTACTED AT THIS FOLLOWING LINK.. 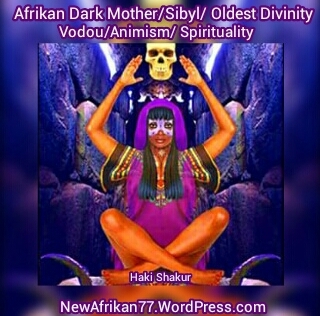 The Sibyl Black Woman Afrikan Dark Mother Great Mother /Goddess Veneration/ Vodou ( Divination, Cosmology- Astrology-Astronomy, Rituals, Sacrifice, Ancestral Veneration/Honor and Nature intunement Worship – Animism ) is The oldest systems of spiritual science(Spirituality) on Earth , The Black Woman was venerated at the same time she gave you Vodou, The Mystery School Science of Nature and The Cosmos , Knowledge of Self ( Supreme Energy Life Force) x Animism , The Sibyl did this from the ancient times this is why she’s painted in caves and the forest from those areas of the deep lands she created it All in Deep South -Central – West Africa onto the East and North… everyone’s genetic “beautiful mother” is african and dark, and that she is the oldest divinity we know. At the beginning of the third millennium, the consensus among world scientists is that Africa is “the cradle of the most ancient living beings that paleo-anthropologists are willing to call Homo,” and that Africa is the place of origin of modern humans, homo sapiens sapiens. In the paleolithic epoch, signs of our oldest mother were the color ochre red (signifying blood of childbirth and menstrual blood) and the pubic V painted in african caves. After 50,000 BCE, migrating africans took these signs to all continents, where they may be seen today in the caves and cliffs of the world. cultural historians, the persistence of the belief in our oldest mother and in the values associated with her – justice with compassion, equality, and transformation.Belief in the african origin of world civilization, a civilization centered on a dark mother, was widely held in the ancient world, up until the first centuries of the common epoch when clerical and secular authorities destroyed her images and attempted to suppress her memory. Despite this her memory and values stayed alive in everyday and festival rituals of subaltern cultures of the world. 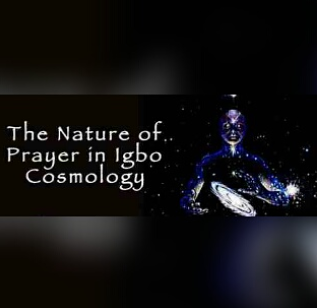 In the late 20th century, the memory of the dark mother surfaced in writings of african and africanist scholars, in research of western scientists, and in women’s movements of the world, particularly in that stream, becoming a river, called women’s spirituality..
‘The morning prayers in Igboland are traditionally done by the head of the family…It is an all embracing prayer as nearly all traditional Igbo prayers are, for the traditional Igbo’s have always seen and acted as part of the whole Mystical “O” which is Chi-Ukwu, the Universal Spirit and the source and terminus of the countless mirco Chi, linking all that exists to Chi-Ukwu and deriving their respective lives, lights, beingness and spiritual sustenance there from. In other words when this prayer is made, the person is acting first and foremost as one of the spiritual links in God’s Divine chain for securing truth, peace, justice, fairplay, order, progress and sustenance of humanity, a viable environment and safe Universe ..
Mutulu Shakur is a political prisoner and co-founder of The Black Acupuncture Avisory Association of North America. The interview was conducted by Skills for Justice,a group of anti-racist activists who deal with the issue of racial violence in the legal arena. Skills For Justice: Dr. Shakur, I know you have a long history of doing work around the issue of drug abuse. Could you tell us something about it? 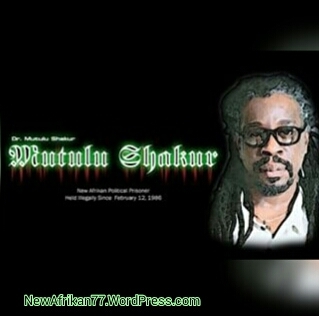 Mutulu Shakur: The Nationof Islam under the Honorable Elijah Muhammad and Malcolm X first developed a program for dealing with drug addiction during the heroin plague of the sixties. The Nation of Islam would take an addicted person and separate him from the drug, provide social support, good diet and some kind of work outlet in order to move that person outside of the heroin world into feeling productive and giving them self-esteem. The example they put forward might have come out of the general extended family culture in the oppressed communities-in particular, the Black community. The Nation of Islam’s work around drugs helped make it very respectable in the Black community and provided an example which was taken up by other revolutionary formations. The Jehovah’s Witnesses and some of the Baptist churches also used the method of isolating the drug victim from drugs, providing a person or two to do a 24-hour or 48-hour detoxification watch, providing food and general back-up. This concept was the beginning of the theory of treatment through what we now call ”therapeutic communities”. These community-based programs dealt with questions of education, housing and welfare. They always took some responsibility for being abig brother or watchdog to acertain number of drug victims. They used other aspects of the community program as a way for the drug victim to find more self-esteem, become more valuable to themselves and their communities, and try to right some of the wrongs that they had been involved in. During the sixties, the Lindsay era in New York, there were a number of community drug abuse programs under the Commission for Racial Justice. Out in Los Angeles, I remember an Asian community drug abuse program. And Dr. Matthews had a major drug program something like the Nation of Islam. He had an economic survival orientation where he would have drug victims make some kind of product, and when that product was sold, they would get the money. It was a vocational rehabilitation program. During that period a lot of the work was done by the movement. We had amoral commitment to it; it was something we could squeeze out of whatever resources we could get through city tax dollars or through donations. We would all find some way to help somebody who was addicted to drugs. What happened then was that the government began putting anti-poverty money into community-based programs in order to stem the tide of the resistance and the rebellion, to placate the communities that were so oppressed. I might add they used COINTELPRO against the movements. Since we were all so concerned with the downtrodden andthe person without and the person who might possibly get on drugs, we never suspected some of them were being used as infiltrators into our community-based anti-poverty programs which were havens for Panthers and ex-Panthers. Lumumba Shakur, Abdul Majid and others in the Panther 21 Case all worked in the South Jamaica Community Corporation housing program at one time. Fighting drugs was generally not isolated as a specific area for funding in the late sixties andearly seventies. The community tried to include the fight against drugs and siphon off some of the money to do that kind of work. In Corona and other places, the Community Corporation outlets provided the type of services needed by victims of drugs who wanted to alter their behavior. And alot of the movement people were there. That’s where we found alot of the people who were going tofind the moral convictions to fight drugs and to fight against all the ills of society-in some of those anti-poverty programs. In the late sixties and early seventies, monies for drug abuse were handed over to ex-prisoners. A lot of the Muslim programs were run by ex-prisoners, ex-dope fiends or whatever you like to call them, coupled with people who were progressive or left in college, social workers of some sort. We had a lot of Peace Corps activists in the Bronx and in South Jamaica,a lot of Peace Corps activities going on in those communities under the guise of fighting drugs. Clearly, they were performing the same role that they performed in other countries. Some had legitimate moral commitment to the work, and the others were CIA operatives. So the ex-prisoners and the Peace Corp-type, those partners made for what then looked like a comprehensive package: someone who knew the street and someone who knew the bureaucracy and had the educational background to prepare the proposals in order to get what was now coming down the line for federal funds for drug addiction. As the sixties began to slow down, the drug struggle and the struggle against drugs became “profession-alized.” The psychiatrists and psychologists-people with credentials who had never been connected to drug rehabilitation and the drug war before-were suddenly interested. Part of this was sociological: it gave the middle class some finances. But isolating the movement from the process of curing drugs was also a stategy: separate the politics from it, take it from the Malcolm X example, the Nation of Islam example ,and put it into a more credentialized process. Separating the people from the process of curing drugs was the first stage of the contemporary period of chemical warfare against the oppressed community. The Nixon administration and its National Drug Abuse Council began to investigate another drug. They wanted something to introduce that as a cure-all for the street drugs that existed at the time. Methadone maintenance became the great cure-all for heroin addiction. But if you were politically astute, you understood that any drug replacing another drug would only mean a further addiction. The only element missing would be the so-called criminal factor. The political movements were on this, more so than the Peace Corps-types. This became the basis of The Lincoln Detox example. Our efforts came from the Young Lords Party, the Black Panther Party, and drug victims themselves who were educated through the prison programs, the anti-poverty programs.They began to realized that they needed to have more control over drug rehabilitation programs. Lincoln Detox wasn’t the only example in the country, but I dare say one of the most dynamic examples of fighting drugs in a political framework . Lincoln Detox was on of the programs that held on the longest under federal fundng while being led by leaders in the struggle for the liberation of Puerto Rico, the liberation of New Africa, the black liberation struggle,as well as left, white anti-imperialist leaders. Whatever people think about their politics now, Jennifer Dohrn worked there, Franklin Michael Appel worked there, a number of progressive anti-imperialists participated in Lincoln Detox. Lincoln Detox fought methadone from 1971, from the inception of the Rockefeller Program. We fought all the way through. The issue of drugs was a problem of the inner cities, but even though the Health and Hospital Corporation had about ten municipal hospitals under it, Lincoln Detox was the only example of a community-based detox program. Lincoln Detox was developed by revolutionary forces housedinside of Lincoln Hospital which received city funds and some federal matching in order to operate. Most other drug programs operate from funds from the federal government and funds for research,like the drug addiction programs given to Albert Einstein School of medicine, or Columbia, or the other universities. The Lincoln Hospital drug program was the only drugprogram not operated by an educationally-affiliated medical institution. The attack on Lincoln Detox was an attack by the federal government and city governments, because that’s where the funds were coming from. Part of the contradiction was that there would be more money for the city if they kept people maintained on methadone as opposed to having aperson detoxed off of that methadone. They received $250 a day per patient in beds maintained on methadone. The other part of the contradiction was that the politically-motivated and organized drug programs created a pool of volunteer workers to oppose any candidate who did not have the best interests of the poor and oppressed in mind. For instance, Ramon Velez used to run the South Bronx. (I don’t know if Ilike him or dislike him; it has nothing to do with it.) He was an assemblyman. Like other people in political office, he would pander to drug programs because drug programs could get out people With flags and do the kind of campaigning they now call “high tech” campaigning. If a particular assemblyman or congressman supported A particular program, or came and spoke and made political overtures, That program would go out and do basic campaign organizing and recruitment for that politician. At one time, 60%of people addicted to heroin could get black market methadone for a certain period of time. And we couldn’t blame that on the Turkish government, we couldn’t blame it on the Vietnamese, we couldn’t blame that on any other nation, on the economy of poppyseeds or anything. At the time Koch was running, there was clear opposition to him from LincolnDetox. So Lincoln Detox became a ” terrosist operation.” What was the evidence? We had drug victims trying to fight the ills in their community. People at Lincoln Detox helped bury Black Liberation Army soldiers who did not have money to be buried, went to trial with Dhoruba Moore and Assata Shakur and various other comrades, went to trials for Carlos Feliciano. We also went and picketed and did stuff around union rights. We went to fight for the gypsy cab drivers to get a fair shake, to be allowed to take fares below 110th Street. We also went into the welfare centers to enforce community complaints, making sure, for example, that welfare victims with debts were treated respectfully. A lot of those activities came from the people working at Lincoln Detox who were listening to the victims coming in: someone trying to get awelfare check in Wilson Bergen Welfare Center. Or driving acab: “I got my gypsy cab, I’m gonnago and get four or five tickets before the day is over. I endup with no money. What am I gonna do with $20? I’m gonnabuy a bag of herb.” you see. And we listen to that and try to take it up, “Lets do something about that problem. “So when you really talk about fighting drugs, andyou really talk about fighting crime, especially in the inner city, you have to look at the overall political ingredients. SFG: Moving forward to today for amoment, how would you analyze this whole “crack” phenomenon? Do you see any big differences from the past? Shakur: Different drugs definitely affect the community differently. Its odd to say but heroin was something that the community could handle. But the physical effects-the withdrawal and the maintenance-of people addicted to methadone was something that the community could not handle. The secondary symptoms caused by prolonged use of methadone were just something that a mother or brother or cousin or wife or lover could not handle. Methadone, when it was only manufactured by Eli Lilly and only distributed through accredited clinics and hospitals, became second to heroin as the black market drug on the streets of New York city. At one time,60% of people addicted to heroin could get black market methadone for a certain period of time. And we couldn’t blame that on the Turkish government,we couldn’t blame it on the Vietnamese, we couldn’t blame that on any other nation, on the economy of poppyseeds or anything. Methadone was clearly manufactured here in United States, distributed in its clinics, and it became the illegal drug on the streets. The politics of methadone were so clear and glaring that they had to phase down the propaganda about it, although a number of methadaone maintenance programs still exist today. What does that mean? It means that the United States government can participate in flooding a community with drugs whether they’re legal or illegal. When we look at crack, (not crack, necessarily, but cocaine) flowing into this country to replace heroin and methadone, we have to put it in the context of United States geopolitical strategy. When we look at the struggle in Nicaragua,El Salvador and Panama, and we look at the geopolitical strategy of the United States government, then we can see that within their framework and their strategy, cocaine becomes a significant issue, just like heroin became a significant issue on the streets of the United States when the United States was at war oppressing the Vietnamese people. The struggle to oppress the Latin American nations and control and support dictatorships means that illegal drugs are going to be flowing in from that region. The drugs you find in America are from wherever imperialism is being implemented. SFJ:Well, what do you do? It seems almost insurmountable. People are organizing community patrols, but given the reality of the kind of oppressive conditions that exist in our community today, where do you begin to tackle it? What needs tobe understood and done? Shakur: Drug addiction and drug use, dippin’ and adabbin’; crosses a lot of lines politically and socially, but for different reasons now, it has become agenocidal tool as well as a subculture of American society. It has become that not only because of its availability but also because of the political motive on the part of a class of people in this country to sedate a certain element of the population. And there is also the question of economics. The underprivileged and the deprived have to find some kind of black market or underground economy that can sustain the community where there’s no possibility, or limited possibility, of economic growth. That’s the political context. But you also have to recognize that effort to fight drug addiction, whatever it is-crack,heroin, valium,alcohol-has to be a complete program. We were wrong to address it totally politically without having a medical capability. That’s one of the things that Lincoln Detox realized, that it could not only be a political formation,especially with the onslaught of methadone. We had to have some type of medical capability. We have to realize what crack does to an individual. Crack-smoking is totally a brain addiction which is different from someone shooting up cocaine or heroin on the street or someone sniffing cocaine. Crack pushes the individual to identify with what this society projects as accomplishment. Look at television nowadays. For example, the Colt 45 commercial with Billy Dee Williams. Now everywhere you go in America’s wasteland, you see men and women on the corners drinking Colt 45, one of the cheapest, nastiest-tasting beers there is. There is nothing in what that beer does to you and what this advertisement does to you that can compare. So the advertisement is not necessarily only for Colt 45, but for the complementary drug that will help the Colt 45 make you feel like the advertisement suggests. What you’re suppose to get in Colt 45 is the roaming and the wind and speed. You look at commercials and the car is speeding. You can hardly see one figure. Everything is fa-la-la-la-la. And if you sit down and talk to a patient of crack addiction, what you will find is snap, snap, snap, snap, snap, snap-it speeds them up, it spaces them out, it’s the get-down-now, it’s the Wall Street shifting and under-the-table bidding and making deals, hand-over-heels,it’s the picking up the phone and getting it done. What you get with crack differs from what you get with heroin. Heroin is more like Williams Bendix on ‘The Life Riley,” where what was deemed to be success was to be able to come home and put out a hammock and lay back and relax. Today that’s not what America is projecting as what you should be into. So you have a segment of the society without the economic capability, without the educational or cultural outlet, but with awhole lot of televisions available,trying to associate itself with a behavior pattern that’s just outside its realm. And the chemistry of crack is there in order to accomplish That goal. SFJ:One of the things I wanted to talk about is the question of drugs and crime and racism. Its very convenient for white people to profess to be alienated from Black people or Latin people not because they are racist, but-at least that is what they would allege-because of the nature of crime and the nature of drugs that contribute to crime. Given your background as afighter of drug abuse,how do you respond to that? Shakur: I think that the United States government is clear to separate the addiction from East L.A. Chicanos and Arizona Chicanos,Blacks and Puerto Ricans. And how they separate it is that they magnify addiction in the Black and Puerto Rican community,and they don’t talk about it as it goes on in the white community. So when white people talk about crime and drugs,it often becomes an excuse to maintain their racism without saying that you just prefer your own race. Yes, we must deal with crime, but for God’s sake be cautious of the facist developments that the government uses in the so-called fight against crime. The real danger is if middle America doesn’t wake up to the fact that they’re using crime in the Black and Third World communities to squeeze all our Constitutional rights to nothing. Criminalizing people for their politics actually allows the real criminals to run the streets. To deal with crime and drugs in the community, you have to have people who are not intimidated by that,the people who came through there and are clear who the real enemy is and are not afraid. It takes all of their moral authority and political responsibility to confront those issues. Take South Jamaica. If we accept that Fat Cat Nicholas is the one bringing drugs into South Jamaica community, then who can talk to Fat Cat Nicholas? Well Fat Cat Nicholas, who’s only twenty-six, used to live right around the Corner from Abdul Majid who has worked in housing and worked against drugs and all of these different things. Abdul could go and talk to Fat Cat Nicholas and I know that when Abdul Majid is in the community that’s what he does. He’s not intimidated by the so-called street club. But if someone with the moral authority of an Abdul Majid is labeled a criminal and taken off the street, then who can talk to Fat Cat Nicholas? If you let this government separate and isolate these people, where are the communities going to get their direction from? You have to have leaders with moral authority in communities that clearly have no respect for the middle class and definitely have no respect for the politicians. So crime, yes. There is crime. There’s the crime of black men killing old black women. We don’t tolerate that. There’s the crime of older men selling drugs to young children. Imean, draw aline. It is for the dollar only? Where are the community centers where basketball is played? You talk all this basketball nonsense and sports nonsense,but that only happens in the colleges. In the community it is very seldom you have aparent who can send achild to a coach who is not only interested in winning but is also doing it because he can handle the tough kids, the kid that feels he has been abandoned by his father or whatever. We don’t have that any more. You don’t have any evening centers. You don’t have that any more in the community. And the Federal government can get that money out and put it into missiles and put it into exploiting and colonizing other nations. And so you talk about crime-that’s the crime. Houston Anarchist Black Cross is posting this on behalf of formerly incarcerated political prisoner Sekou Kambui. You can find a letter from Sekou at the bottom of this text which explains the reasons for which he needs financial support. To give you a bit of background regarding Sekou, Sekou was unjustly imprisoned for 40 years for crimes he did not commit and for which there was absolutely no evidence against him other than coerced testimony from individuals who subsequently recanted their statements. The judge refused to allow the recanted statements to be stricken from Sekou’s record. Sekou was released from prison less than 2 years ago on parole. Within less than a month of his release he was diagnosed with Stage 4 liver cancer. He had been complaining about feeling sick for months, but the prison medical officials told him it was just a low level of iron. Throughout the 1960’s, Sekou participated in the Civil Rights movement, organizing youth for participating in demonstrations and marches across Alabama and providing security for meetings of the Southern Christian Leadership Council (SCLC), Congress of Racial Equality (CORE), and the Student Non-Violent Coordinating Committee (SNCC). 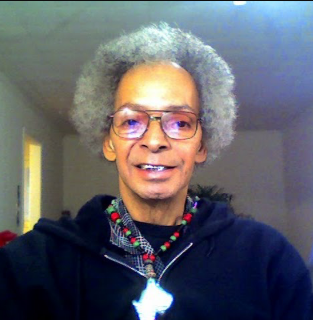 Sekou became affiliated with the Black Panther Party in 1967 in Chicago and New York. 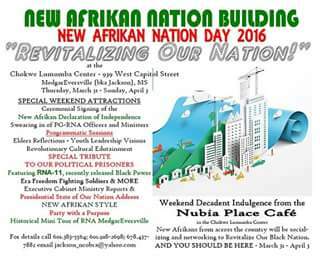 While in Detroit, he became a member of the Republic of New Afrika, before returning to Birmingham. Back in Alabama, Sekou coordinated community organizaton activity with the Alabama Black Liberation Front, the Inmates for Action (IFA) Defense Committee and the Afro-American People’s Party in the mid 1970’s. Sekou was also a soldier in the Black Liberation Army (BLA) during these years before his capture. Houston Anarchist Black Cross received this letter from Sekou on January 28, 2016. 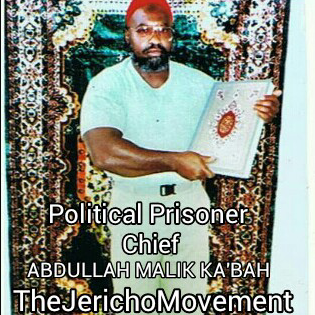 “June 30, 2014 to January 30, 2016 I’m over one & a half (1 & 1/2) years as a formerly incarcerated Political Prisoner! Since August, 2014 I’ve been standing toe to toe in my fight with colon/liver cancer. Its been uphill in every way possible! Some days I struggle to breathe and must remain on or near an oxygen machine; some days I can’t walk but a few steps at a time before needing to pause to catch my breath. Yes! Uphill more than downhill–for days without end it seems! The Government won’t permit me disability to help me financially. On top of this, the Government won’t permit me to work by threat of discontinuing my age motivated SSI check. This is despite how inadequate it is to support me in paying my rent, utility, internet and food bills. I can’t purchase winter clothes even; I must stack on summer clothes my friends sent me to stay warm out doors during the colder days of winter. I’m hurting quite severely financially and could use some donations from my friends, supporters, and anyone so inclined to make a monetary contribution to my survival. That is the motivation for this letter. $ 5,000 to 8,000 would carry me a long way to overcoming my debts, and putting me on solid ground financially speaking; helping me rid myself of debs I’ve accrued, and pay bills that need to be paid before someone decides debtors prison. I must visit the hospital on a tri-mester basis for chemo treatments and to visit doctors to further my efforts to overcome congested heart failure, hypertension, and some degree of Hepatitis C. Add colon/liver cancer to spice up my life. Please consider making a donation to my support; this fight for my life demands much more of me than I am able to afford financially. Your financial contribution to my support will be appreciated very much! It will be received w/gratitude and a huge smile of relief! “‘Racism’ is used to justify and facilitate the exploitation of peoples, and it’s based on the false belief that humanity is divided into a plurality of ‘races’ … There are no ‘races,’ only peoples and groups of peoples, united and distinguished by common history (social development), habits, interests etc. – sometimes we call all of this ‘nationality’ or ideology. Greetings, Brothers and Sisters. The events taking place in Ferguson, Missouri, present us with yet another opportunity to address the inhumanity of racism. But the country will again not take advantage of it because we will continue to treat this act of inhumanity as though it is an isolated incident and not an act that flows from the very structure of this nation.On Racism, Resistance and State Violence by NCTT-Cor-Shu. This is a system that, over hundreds of years, has indoctrinated people – particularly “law enforcement” elements – to look at other people and, based on their physical characteristics, such as their skin color, determine whether they represent a threat and thus respond accordingly. Because Afrikan, Latino and Native American men have been considered for hundreds of years to be the enemy, the “savage,” the “worst of the worst,” white law enforcement officers can develop a kill-first mentality. Any time an officer fires “a hail of bullets” at another person, the intent is to kill, and that intent to kill is motivated either consciously or unconsciously by fear and/or hate! No one wants to think that we are under the influence of patriarchal authoritarianism or white male supremacy in how we think or conduct ourselves. We have been indoctrinated to believe that it is not the system; it was a mistake, an over-reaction on the part of the individual officer – or Klansman – and all it takes is for that individual officer to be fired or prosecuted and the country is satisfied … until it happens again and again and again! We genuinely do believe that this is not the same country as it was 30, 40 or 50 years ago, and we believe this in the face of so much racist, sexist, misogynistic, homophobic, religiously intolerant, anti-poor hate! What we are facing in this nation, as it relates to the murders of New Afrikans (Blacks) by police is simply the ongoing legacy of socio-economic relations between the White ruling class and the New Afrikan underclass, a manifestation of patriarchal authoritarian White supremacy enforcing the dictates of the race caste system in Amerika. Institutional racism is a structural component of Amerikan culture and property relations. As such it cannot be “reformed.” It is irrational to assume you can legislate away hate in a society where every institution reproduces and reinforces it in the population’s core and developmental psychology. The very nature and structure of American society preserves White male supremacy and hatred of New Afrikans (Blacks); it is with policing that this power dynamic is most visible. It is the police who are the first line of defense for the ruling class, and the police have the most frequent contact with the greater population. This power dynamic, as it relates to policing, gives visibility primarily to the fact that the underlying basis of power upon which White male hegemony in Amerika rests is violence. It is a power which must be seen to be effective. As consciousness of oppression metamorphoses into resistance, no matter how minute, fleeting or legitimate that resistance may be, the response of the state’s police forces is violence, lethal force … murder. It has always been thus, from the slave catcher to the “strange fruit” of the lynching trees, from the slaughter and raiding of Rosewood to the slaughter and siege of Ferguson; the initial, the primary, the first response of the police to New Afrikan resistance is always violence. What should disturb us is the irrationality of people and pundits who condemn resistance to such overt force, the condemnation of those who seek to exert their own coercive force to end such hate-based violence. In Ferguson there is a great deal of talk of “outside agitators” who have come in and hijacked the protests, as though, somehow, no one outside of that community has an interest in abolishing hate. As consciousness of oppression metamorphoses into resistance, no matter how minute, fleeting or legitimate that resistance may be, the response of the state’s police forces is violence, lethal force … murder. Every citizen who has an interest in creating and maintaining a society or world based on principles of equality should converge on Ferguson and anywhere else in which the humanity of people and the planet is under assault. When you look at the historical record, particular forms of protests have intensified, particularly over the last 30 years, only because the system that produces the inhumanities remains in place. Even people, particularly young people, who may not be knowledgeable about the country’s history, are immediately introduced to that history. Images from Emmett Till to Trayvon Martin and beyond are introduced to them. They look around and see citizens, neighbors and others within their own communities and towns rushing out to buy guns, symbols of hate and destruction, instead of joining the protest, in fear of those whose humanity has been assaulted. The initial, the primary, the first response of the police to New Afrikan resistance is always violence. This is the most definitive proof that among large segments of the population, nothing has changed in their thinking. Even among some segments of the New Afrikan (Black) population, it is felt that the officer or the system acted appropriately, and that represents the most definitive proof that among large sections of the population nothing has changed. In a clear illustration of the institutional nature of racism in Amerika, the mass media instantly sought to tacitly defend the police by proffering justifications for murdering this latest New Afrikan child, Michael Brown, while condemning direct action force by protestors as “criminals,” “looters,” “outside agitators” and “thugs” seeking to capitalize off the latest tragedy, as opposed to the rational, although disorganized, response to some 400 years of unbroken racist violence against New Afrikans and Native people in Amerika. Yet, irrationally, New Afrikans continue to refer to themselves as “Afrikan Americans,” an oxymoron which consciously ignores the fact that “Americans” had killed “Afrikans” as a practice in Amerika since 1619. And therein lies the contradiction – the psychological cleavage of the New Afrikan mind when subject to Amerikan state violence: They unconsciously do know this and act to move against it just as one would reflexively swat at flames on one’s flesh or a stinging bee on outer skin; you meet the pain of force with force of your own in order to make the pain stop. It is an act of intelligence with intent, yet many would have us accept such patently racist violence with nothing more profound or transformative than passive pleas of “Hands up! Don’t shoot!” to justify such irrationality. They point to Martin Luther King Jr. or Mahatma Ghandi’s courageous examples of nonviolent resistance, while conveniently ignoring the fact that both were killed for their efforts and their aspirations have yet to be revealed. The rabid poverty, gross inequality and brutalization of women which dominates neo-colonial Indian society is not the “independence” Brother Mahatma gave his life for. And the fact that we are even having this conversation, with Trayvon Martin, Michael Brown and countless others cold in the ground, is the best proof that the dreamer’s dream remains Amerika’s nightmare. These “mentacidal” (mental suicide) contradictions in social analysis render the prospect of solutions, effective solutions, all but impossible. Many of the New Afrikans (Black), clerical, political and community leaders we’ve heard about thus far have, in most of the latest events in Ferguson, called for a change in the way law enforcement officers police New Afrikan communities in hopes of returning these state agents to their stated role of “serving and protecting” our communities. Because this starting premise is so incorrect, every other idea or effort that flows from it will prove equally flawed, a voyage into circular thought which will inevitably lead us back to the same problem repeatedly. The first thing we must understand is what the police are and what their purpose is. The police, at their core, are the enforcement mechanism of the state’s dictates on the populace. The state is a tool to ensure the dominance of the ruling class and its cultural imperative (capitalist White supremacy) over all other classes and cultural interests. This determines the policies’ purpose. The purpose of police in the capitalist state is to “serve and protect” the ruling class and their constituents while controlling, containing and repressing the remainder of the population, especially underclass and non-White communities. The core flaw in thinking by mainstream, state-approved and clerical “leadership” in the New Afrikan and other concerned communities is it begins with the premise that the police are in their communities to “serve and protect” them, when all objective observations and historical analyses reveal the police’s function is to control, contain and repress them. Until this is understood, accepted and acted upon, the development of viable solutions by New Afrikans to this scourge will be futile. 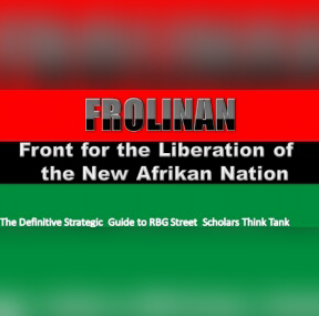 Consider this: Within the bowels of the prison industrial complex’s supermax (SHU) torture units in California, hundreds of New Afrikans have been consigned to “the hole” for the remainder of their lives – if they are not broken – for studying their culture, history, political ideas and even current events if they are presented through a New Afrikan lens. The terms “brother” and “elders” are commonplace in ‘most every underclass community, regardless of racial composition, and the term “comrade” is universally used in leftist circles of every hue and has been since the 1800s. We can only assume Turmezei has another motivation for such baseless lies. If this warped racist perspective was not so demonstrative of the institutional racism which is a structural aspect of the state, perhaps this officer could be laughed off as an ignorant, misinformed crackpot. However, the unfortunate truth of the matter is that the one thing all of these things have in common is their connection to New Afrikan (Black) culture, thought and expression. There are, as we speak, hundreds of Crips, Bloods, Muslims, Christians and non-affiliates validated as members or associates of the BGF for no other reason than seeking to study, express or embrace their culture, history and political ideas. Though these New Afrikans (Blacks) have no relation to any revolutionary formation, what they do all have in common is their Black skin and their common historical experience with and development in capitalist Amerika. The state, unable to bring itself to just admit its hatred of New Afrikan (Black) males and their need to repress any expression or pursuit of self-realization instead outlaws being “Black” itself. Our very culture, history, expression and manner of relating to one another is reduced to a “gang” or “gang activity” and used by the state as a pretext to subject thousands to indefinite SHU torture. Men who have no affiliation to the BGF or any other progressive revolutionary formation are routinely validated and slammed in the SHU in hopes of breaking their minds. Unfortunately, reflecting many episodes in New Afrikan liberation history, some New Afrikan (Black) prisoners who have been wrongly validated as freedom fighters have blamed not the state but the freedom fighters for their being subjected to these torture units – a manifestation of their own underdevelopment, which unwittingly aids the state by destroying unity and promoting antagonisms among New Afrikans (Blacks), all of whom are being subjected to the same racist repression. Nevertheless, consciousness is directly proportional to oppression, and as more of these New Afrikans (Blacks) are confronted with the intensification of these institutional racist practices, the greater their consciousness will become and lead to their turning their antagonism on their actual adversary – the authoritarian police state – as opposed to those who’ve spent their adult lives resisting the attacks of the capitalist order upon all New Afrikan (Black) people as well as the have-nots from all cultural groups. It is possible to change all of this. People must remove, through the ballot box, on a state and federal level, those officials who support the maintaining of a system that produces, indeed encourages, hate and greed! We must replace them with officials who will not subordinate themselves to moneyed interests – who have a stake in maintaining the system that exploits humanity and the planet to enrich themselves. This is the same system that built the torture units called supermax prisons, and these are the same people who have amassed fortunes by creating and then exploiting human misery. It is the institutions upon which the authoritarian state and its capitalist masters rely to maintain this hate and greed that we must focus our efforts on transforming until the process of progressive social change reaches its logical conclusion. People must remove, through the ballot box, on a state and federal level, those officials who support the maintaining of a system that produces, indeed encourages, hate and greed! This means we must act to install officials who will oppose the nature and structure of the authoritarian state, officials who will actively wage struggle against racist, sexist, classist, homophobic, xenophobic, misogynistic and anti-youth thinking and practice within those institutions. This means restructuring these offices and the electoral process itself, which has been hijacked by moneyed interests. The numeric superiority of the underclass in the context of the democratic process counterbalances and is capable of overcoming the moneyed interests of the ruling elite. This will require us to overcome the irrational thinking which deludes many of us into believing our interests and the interests of the ruling class are one and the same. We must act to install officials who will oppose the nature and structure of the authoritarian state, officials who will actively wage struggle against racist, sexist, classist, homophobic, xenophobic, misogynistic and anti-youth thinking and practice within those institutions. 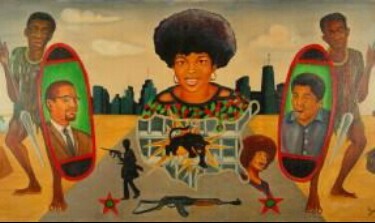 Such transformative consciousness is produced only in the crucible of progressive struggle, active participation in organized efforts to eradicate the manifestations of hate and greed demonstrated in such social atrocities as the murder of Michael Brown by Ferguson police and the criminalization of culture inherent in CDCR’s approach to New Afrikan (Black) men, as well as others in prison today. We must begin to view and resist these social contradictions in their interconnections. Our failure to collectively resist actually contributes to the niggerization of every non-White cultural group by the institutional racism inherent in the authoritarian state. Indicative of the underlying authoritarian superiority complex of the settler mentality, “Americans” in these border states are holding dehumanizing, anti-immigrant rallies and hurling racial slurs at people –many of them women and children – whose land the U.S. took by force and violence or decimated through imperialist adventures. Where California now stands is Northern Mexico, part of the traditional home of the Mexican people – Mexicans who were attacked and driven south by the U.S. military in Amerika’s genocidal bid to fulfill its “manifest destiny.” In the face of such historical crimes, how then are indigenous people “illegal immigrants”? This history is still being perpetuated in today’s xenophobic venom and congressional policy intent. There is no difference in these forms of hate and continued financial and military support by the U.S. for Israeli imposition of apartheid in Palestine. There is no difference in CDCR criminalizing the Bay View and the U.S.-backed Egyptian military junta criminalizing journalists from Al Jazeera who were objective in their reporting on the Muslim Brotherhood. Our failure to oppose these manifestations of hate embolden those who advance these values and ensure they are preserved and reproduced in the next generation. Based on our society’s current level of development, the only hope we have is to relentlessly struggle against these manifestations of greed and hate in every institution in society and in so doing allow the series of illuminations which will flow from such a process of social evolution to reach its logical conclusion: the quantitative increase in the consciousness of the people leading to a qualitative transformation of society. It is our sincerest hope that each of you challenge yourselves to make such a commitment and join us in forging a freer and just world. Our failure to oppose these manifestations of hate embolden those who advance these values and ensure they are preserved and reproduced in the next generation. Transcribed from a handwritten letter by Adrian McKinney.